The wife and I had gotten ourselves a twitter account since 2012 but we were never very diligent about it. However, our housing minister has inspired us to post a tweet tonight. So we are trying to "get the bird chirping" again and more regularly this time around. Please follow our twitter feeds on @SG_PropTalk . 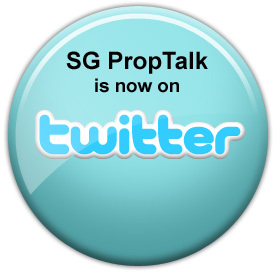 No Comment to " SG PropTalk now tweets... again! "